Odyssey presents the Black Label� FZEUGSPIDDJSXBL Flight Zone� case featuring our patented Glide Style� laptop platform design. 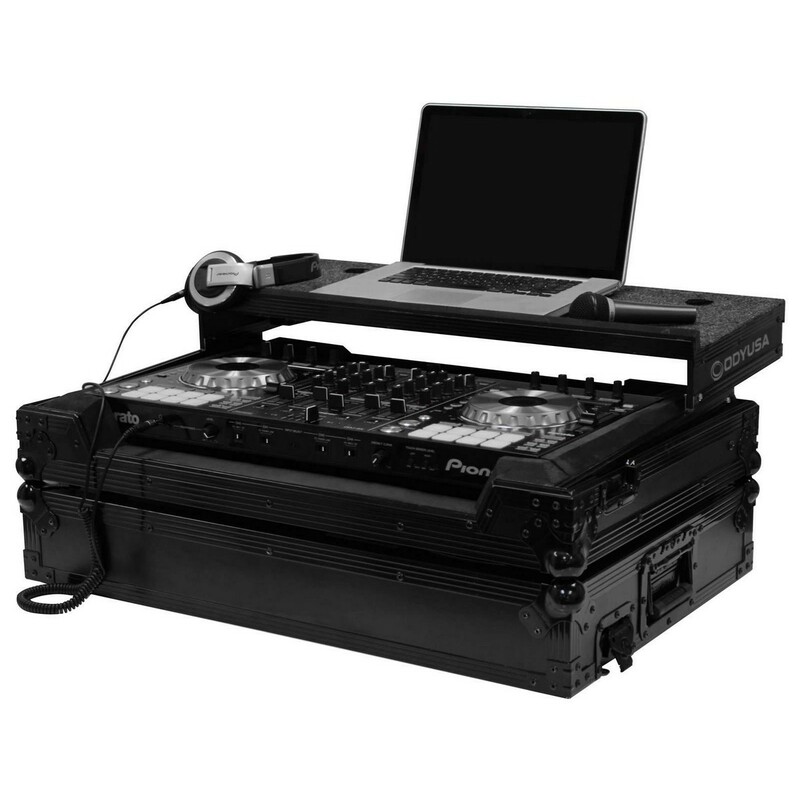 Specifically made for the long awaited DDJ-SX DJ controller, it also features our exclusive, patent pending, high-density bevel foam interior that neatly angles upward raising the controller for an efficient control surface. The stylish V-Cut� removable panel allows for easy access to the front controls and headphone/mic jacks. A spacious ventilation pit under the controller is ideal for storing cables and other accessories. Approximate Shipping dimensions (exterior): 32.75" x 10.75" x 22.75"